The recent release of the official list of StB collaborators revealed the names of quite a few members of today’s Czech economic elite. Where does the current distribution of power have its roots? StB dictionaryThe official terms for describing collaboration with the communist counter-intelligence service, based on guidelines issued by the ministry of interior, were changed at least five times between 1948-1989. The most frequent categories – agent, resident, and conspiracy apartment holder – are from the last period, 1972-1989. · Agent: a secret collaborator who fulfilled tasks of searching out, processing, and documenting anti-state criminal activities. · Conspiracy apartment holder: an extra-vetted collaborator (“vetting relating also to his family, close relatives, and possible other persons…”) in whose apartment other extra-vetted collaborators met. · Informer (or possibly secret collaboration candidate): this category doesn’t directly belong among the secret collaborators. Those in this category didn’t fulfill any assigned tasks, but rather worked as informers, sometimes even unawares. If they proved themselves they became secret collaborators. TO PETR CIBULKA, a perseverent anti-communist and the publisher of the first StB collaborators lists, it is clear: big business is still under the control of people who were associated with the communist secret police. Conversely, orthodox liberals are of the opinion that the Czech economic elite was born through natural selection, favoring the better-educated, more flexible, more clever people who were able to offer the goods or services that were in demand. This was typically either a question of experience with foreign markets, or having capital – that is, having contacts in the right places. However, this “liberal” theory applies in full only if conditions are equal at the onset, something the “non-chosen” and uninvited could only dream about. Today’s economic elite is, of course, a mixture of the two extremes, which means capable managers and entrepreneurs, as well as people merely capable of doing anything for money. The fact remains that the number of important economic players in the interior ministry’s files is surprisingly high. Ever since Cibulka’s lists were released eleven years ago doubt and ridicule have been cast upon them, and they have even been branded as targeted disinformation. Although the ministry of interior in fact verified their credibility, uninformed laypersons are still skeptical as to their conclusiveness as evidence. A large majority of those in the ministry files worked with the StB with full awareness, as Vladimír Zeman, the deputy interior minister in charge of archives, stated in an interview for Lidové noviny this March. However, when persons affected sue the ministry of interior, claiming that they were not conscious collaborators, they usually win their suits. Alena Vitásková, the former general director of Transgas won such a lawsuit. How can this be? The ministry of interior is often unable to submit original documentation, which had in the interim either been stored on microfilm or intentionally destroyed. Besides discovering the names on the lists of collaborators, it’s also important to know who will never turn up there. For example, people who were active agents during the revolutionary period of 1989 came out with shining facades. The then-minister of interior ordered their files destroyed. Also, the names of agents in the civilian and military intelligence services, Czech agents of the Soviet KGB and the military intelligence unit, the GRU, remain unpublished. Civilian intelligence employees who had worked abroad, such as representatives of Czech foreign-trade firms like Strojexport, or workers at Czech embassies under diplomatic cover, were very successful in the post-November economy. They were almost the only people who had any chance to learn how market economies function. But the government never decided to make their names public. Also, many people feared the possible publication and looked for ways to avoid it. “People that did not want to appear protected themselves before the lists were out,” confirms Jiří Hájek from the press department of the ministry of interior. “Either in the form of a preliminary court decision or a lawsuit. We registered about 25 cases during the last six months. Some people avoided the publication by changing their nationality,” he adds. Another representative of a large top executive search firm, who wished to remain anonymous, suggested that sometimes former contacts with the StB needn’t be bad: “Clients are mainly interested in current qualifications and what candidates can bring to the company. This also includes contacts that could be useful.” So even 14 years after the fall of communism, a past as an agent isn’t seen as an onus, but sometimes, paradoxically, as a positive qualification. What do you think of the files published by the ministry of interior? The official ministry files do not contain the “informer” collaboration category. To what extent were informers aware of their involvement and collaborated voluntarily? As the publisher of the files of secret collaborators and StB agents, people know your skeptical attitude towards the democratic nature of the political and economic changes post-1989. Are you still of the same opinion? Isn’t your conspiracy theory with respect to communist agents in 1989 a bit overblown? 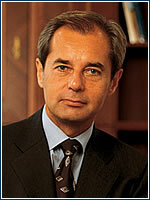 · 1973, graduated from the Faculty of foreign trade at the University of Economics in Prague. Received one-year stipend at the Institute of Journalistic Science in Vienna. Worked on various positions in planning, foreign and domestic trade, agriculture, transportation and health care. · During the years 1986-1991, worked as Prague’s correspondent for American magazine Time and UPI agency, which helped him to create contacts with foreign and local media and with Czech politicians. · Since 1991, managed the Czech branch of Burson-Marsteller agency, which he took over in 1998 and established Donath-Burson-Marsteller. He was one of the founders of the Association of PR Agencies. How did you react to the recent publication of your name in the list of former StB collaborators published by the ministry of interior? Do you think the appearance of your name in the list may harm the reputation of the company you are heading? Do you intend to appeal against the publication of this information? In your opinion, what does the publication of this list mean for the Czech society 14 years after the end of the communist regime? · chairman of the board of directors of Škoda Auto, a.s.
· after school worked in construction, from 1981-1992, worked for Motor Jirkov, last two years as chairman of the board. 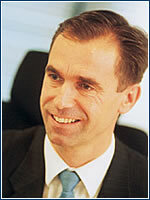 1992-1997, director at Robert Bosch, and since 1998, CEO of Škoda Auto. 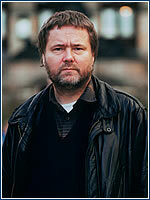 Through his spokesman Jaroslav Černý, he refused to speak with The Prague Tribune on the topic. 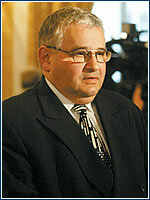 But in an April 2003 interview with Mladá fronta Dnes, he strongly denied any contacts with the StB. “I really don’t know why my name appears in those files, I can’t answer your question. I never signed anything, and I never informed on anyone,” he said. · general director of Sazka, a.s.
· until 1989, worked for the Restaurants and Dining Facilities enterprise, in the Research Institute of Local Economics, and in the department of foreign currency legislation of the Czechoslovak National Bank. In 1990, studied in Canada and then became sales director for Výstaviště Praha. From 1994 to 1996, served as economic vice-chairman of the Czech Sports Association, and since 1995 has been the general director of Sazka. He refused to answer The Prague Tribune’s questions. 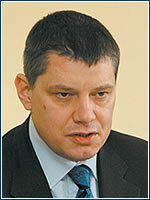 His assistant told us that “he recently commented on this matter for Mladá fronta Dnes, and does not want to comment further.” In the article mentioned, which was published on 4 April 2003, he confirmed his StB contacts without hesitation, explaining that the reason was his employment in the Czechoslovak National Bank. “My position could be held by people who were either members of the party, which I would never have joined, or those who would have to work for the StB,” he said. Hušák claims that he told those close to him that he had signed an agreement to cooperate, but that he didn’t inform on anyone. “It’s nothing to be proud of, but I don’t feel that I hurt anyone. I’m not ashamed of my life. Those were the times we lived in,” he told Mladá fronta Dnes. · 1974-1990 – employed by Severomoravská plynárenská, in her last year as general director and vice-chair of the board of directors. 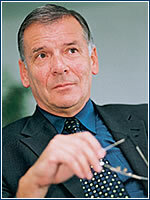 Since 1991 worked for Transgas as chair of the board of directors, and later as general director. Recalled in August 2003. · since 1976, worked for Strojexport, a foreign trade enterprise. As of 1988, managed Prago company in Lusaka, Zambia. 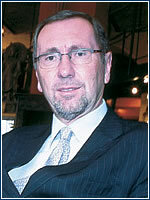 In 1991, returned to CSFR and founded Unimex, which runs Duty Free Shops, the Obi chain, and the Čedok travel agency. Responding to questions from The Prague Tribune, he defends himself against accusations, saying, “I never collaborated with the StB, I was never an informer or agent for them. I never signed anything, and no one ever gave me any assignments. People who know me know what I’m like. Everyone had to meet with the police whether they wanted to or not. People they chose had no chance of avoiding them. We knew who they were. Period.” He says he is considering some unspecified “legal avenue” to defend his reputation. Simply the bestIT IS NOW a tradition. Every year they meet in the Spanish hall of the Prague Castle. They all stand together, close to the Prime Minister for a souvenir photo, so self-assured that they have reached the pinnacle of fame. They are the “Czech 100 Best”. Their name is stylishly handwritten in a little frame that they will proudly display in the reception area of their headquarters, or in their own office. God only knows how one becomes part of the happy few, as the requirements seem well within the reach of an average company manager: to run a firm registered in the Czech Republic; to have at least 20 employees; and to have a turnover of at least CZK 30 million. The final selection then lies in the secrets held by the organizer, the Comenius “non-governmental organization”, and its very well-connected representative Karel Muzikář. The Prague Tribune cross-checked the list of names and companies represented in the first “100 Best” contest (circa 1996) with the list of names of former StB agents published by the ministry of interior, as well as Cibulka’s lists. By looking at the commercial registry at www.justice.cz, which shows all board members of those companies, we have identified no less than 25 names (according to birth dates) which ranked in Cibulka’s lists, but only 11 that ranked in the ministry of interior’s files. The cross-reference revealed former or current representatives in the statutory bodies of the following companies: ABB, Čechofracht, ČEZ, Chemapol, ČSPL, Deza, Economia group, Eurotel Praha, Karlovarská Becherovka, Královopolská, Plzeňský Prazdroj, Škoda a. s., Škoda auto, Škoda Export, Středočeská energetika, Severočeské doly, Technoexport, Transgas, Vítkovice, Železárny Veselí and ZPS. We couldn’t identify some people with 100% accuracy, as their birth date wasn’t available, and therefore did not include their company in this list. How did you react to the recent publication of the list of former StB collaborators published by the ministry of interior? I have heard about this list, but didn’t care much. I guess Czech people also have mixed feelings about it. What do you think of the fact that names of several high-ranking busi-ness people are included in this list? A pity for the company and the person. How would you have reacted if the name of one of your senior executives would have been published in this list? As a company, I would ask them to leave, because it might hurt the image of the company. Did you check the list for names of your employees? Yes, we’ve checked, and it appears that no one in our company is listed. In your opinion, what does the publication of this list mean for the Czech society today, 14 years after the end of the communist regime? It shows transparency, but I doubt if Czechs care about knowing who is on the list. Especially young managers. It might be revenge for some people. As a foreigner living in the Czech Republic, I certainly do not have the same concerns about the list of former StB collaborators as Czech society may have. For me, it is an issue that concerns the Czech people. What do you think of the fact that names of several high-ranking business people are included in this list? As long as the former StB collaborators are skillful, trustful and reliable, with no criminal past and not pursued by the courts, I do not have a negative perception of the fact that several high-ranking business people are named in this list. The existence of the StB and its collaborators was strictly linked to the former regime and was one of the powerful tools of the communist system. Today, we have to be careful in our judgement in terms of mixing different kinds of profiles into one group of StB collaborators, without trying to recognize their real personality. As I said earlier, for me it is the credibility, openness, and professionalism of people that counts. Marco Pařík is one of the most successful entrepreneurs in the Czech Republic. 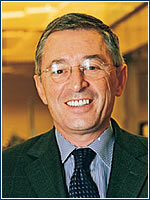 He runs a large number of companies, which include Delta Pekárny, the largest baked goods producer in the country. He’s also a free-spirited man unafraid of voicing his own opinion. In an exclusive interview with The Prague Tribune, he expressed his views on the ministry of interior recent release of the list of former StB agents. What was your first impression when you heard about the upcoming release of the list of former StB agents? What has been your first reaction when you saw it? What would have been your reaction if you had discovered the name of one your managers in there? How did you perceive the reaction of Czech society overall to that release? Why do you think it happened that way? What did you learn from that episode?